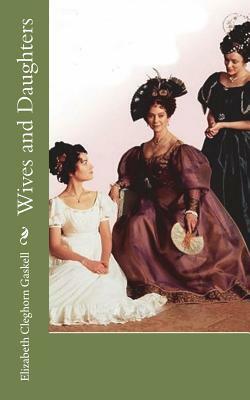 Wives and Daughters by Elizabeth Cleghorn Gaskell To begin with the old rigmarole of childhood. In a country there was a shire, and in that shire there was a town, and in that town there was a house, and in that house there was a room, and in that room there was a bed, and in that bed there lay a little girl; wide awake and longing to get up, but not daring to do so for fear of the unseen power in the next room-a certain Betty, whose slumbers must not be disturbed until six o'clock struck, when she wakened of herself 'as sure as clockwork', and left the household very little peace afterwards. It was a June morning, and early as it was, the room was full of sunny warmth and light. We are delighted to publish this classic book as part of our extensive Classic Library collection. Many of the books in our collection have been out of print for decades, and therefore have not been accessible to the general public. The aim of our publishing program is to facilitate rapid access to this vast reservoir of literature, and our view is that this is a significant literary work, which deserves to be brought back into print after many decades. The contents of the vast majority of titles in the Classic Library have been scanned from the original works. To ensure a high quality product, each title has been meticulously hand curated by our staff. Our philosophy has been guided by a desire to provide the reader with a book that is as close as possible to ownership of the original work. We hope that you will enjoy this wonderful classic work, and that for you it becomes an enriching experience.